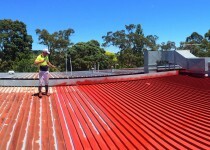 We specialise in the development and manufacture of high tech industrial coatings, sealers, and paint systems. Our environmentally friendly, water-based products are used extensively in the construction, mining, transportation, defence, engineering, and marine sectors. Our Customers include: shires, city- and town councils, sport clubs, primary- and secondary schools, hospitals, fabricators, removalists, farmers, hotels and restaurants, boat charter companies, food processors, water- and electricity utilities, state prisons, and mining companies. Our products include: primer coats, floor paints, clear finishes, industrial top Coats, waterproofing products, sealers, cleaners, degreasers, timber stains, and household paints. A water based primer for ALL non rusted surfaces, including new steel, timber, some plastics, fibro etc. Is an etch primer for aluminium and galvo, etc. 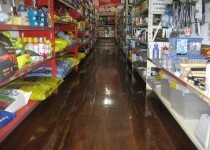 A clear 2 pack epoxy for all interior surfaces, e.g timber, concrete, slate, cork, etc. Forms a high gloss (or satin) glass - like scratch resistant finish. A black water proofing membrane, made from a bitumastic emulsion plus a liquid rubber. Resists water penetration, even when submerged. A high performance industrial enamel with good gloss and colour retention. Functions well in marine environments. Wide colour range. 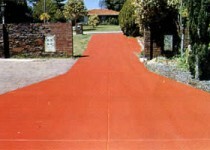 A hard wearing non slip decking paint suitable for working boats, driveways, wheelchair ramps, paths etc. Range of deep and pastel colours. Wide range of water based interior and exterior household paints, including full acrylics, flexible membranes, ceiling paints etc. Tinted to most colours. A fairly coarse, resilient, non slip deck paint for bare feet. 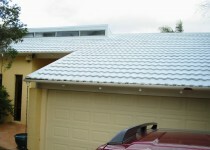 Also used as heat reflective for caravan roofs and as underbody car protection. A non hazardous surface cleaning concentrate and degreaser. Excellent for preparation of most surfaces prior to painting. Is biodegradable.